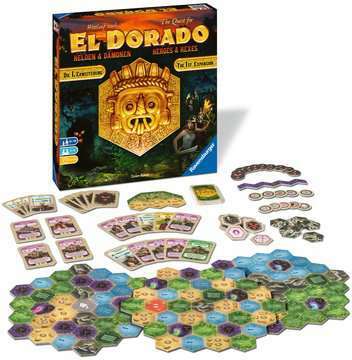 Are you ready to embark on a new journey to El Dorado, the City of Gold? This time you will encounter even more perils on your paths. Hire intrepid heroes to accompany you on your expedition and help you battle the demons of the darkest jungle! New terrains and new challenges await!